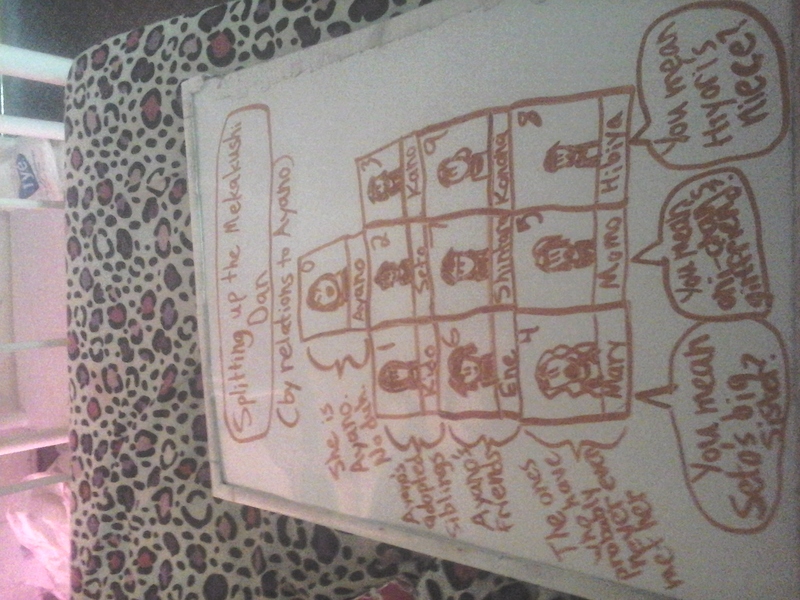 A Chart of the Mekakushi Dan based on relations to Ayano. . HD Wallpaper and background images in the Mekaku City Actors club tagged: photo. This Mekaku City Actors photo might contain tanda, poster, teks, and papan tulis.